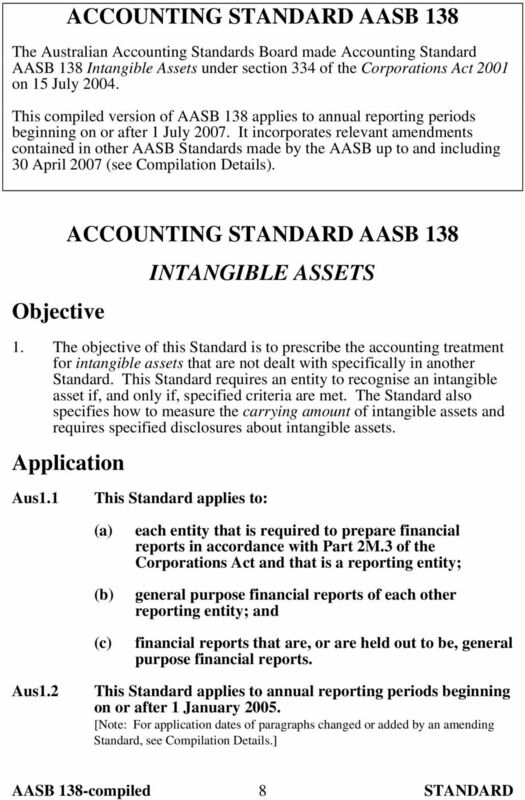 Download "Compiled Accounting Standard AASB 138. 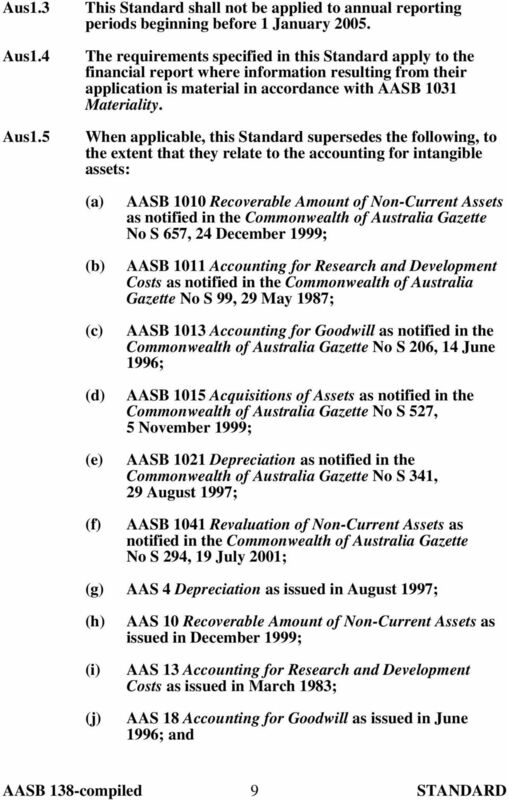 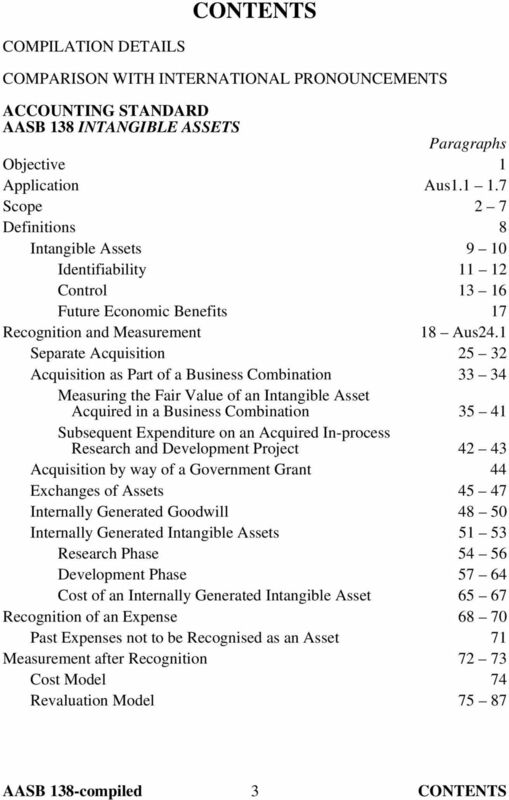 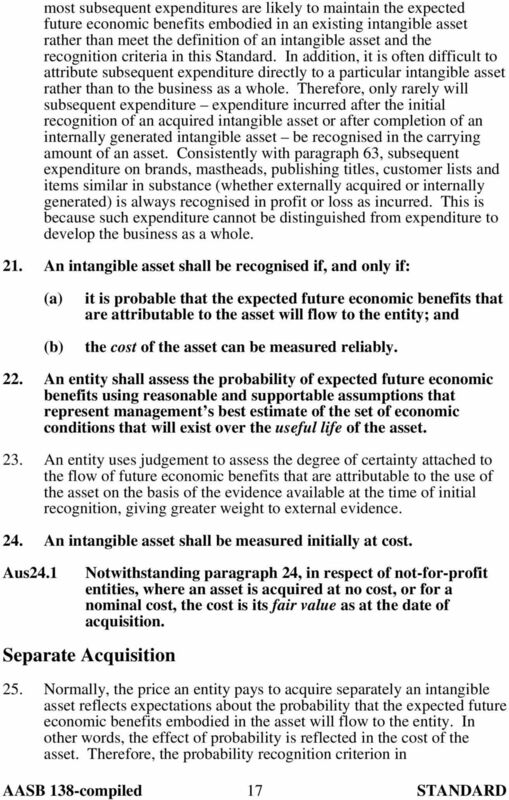 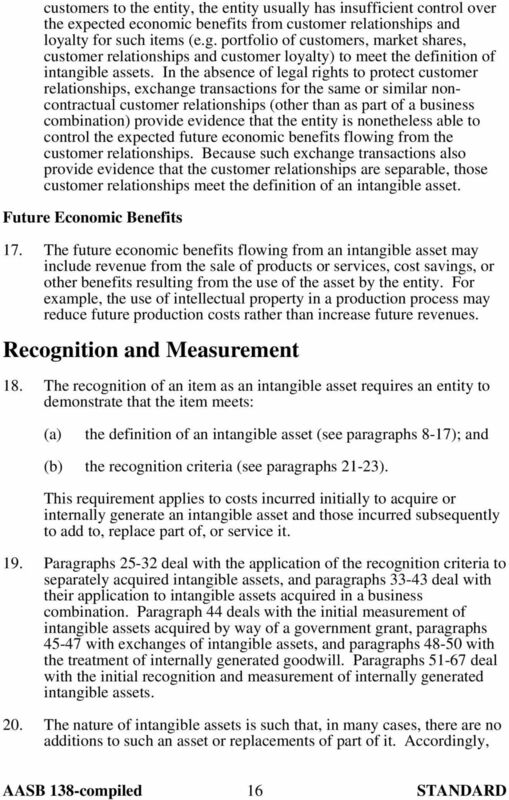 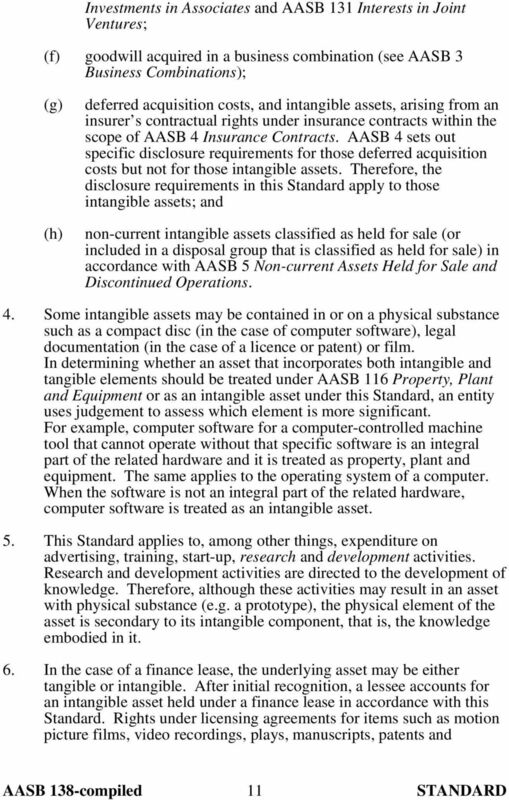 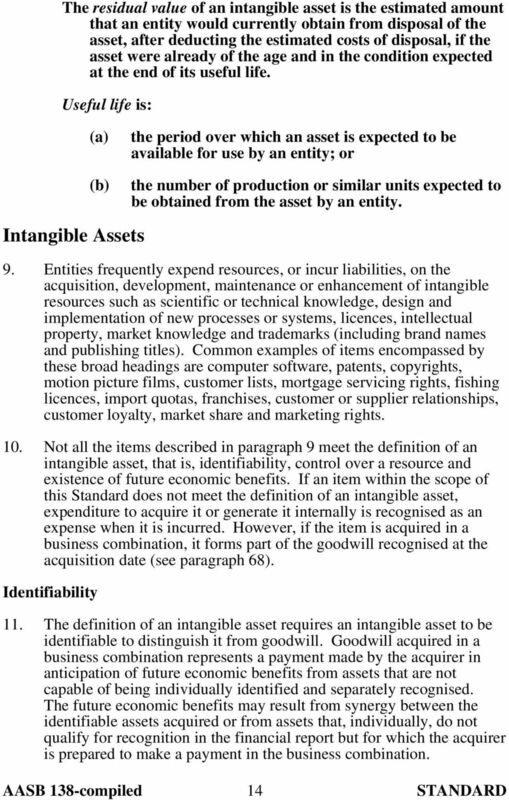 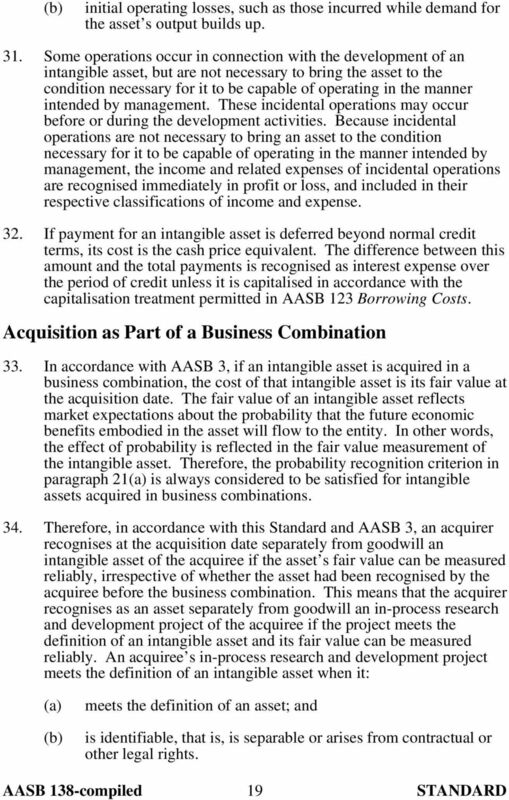 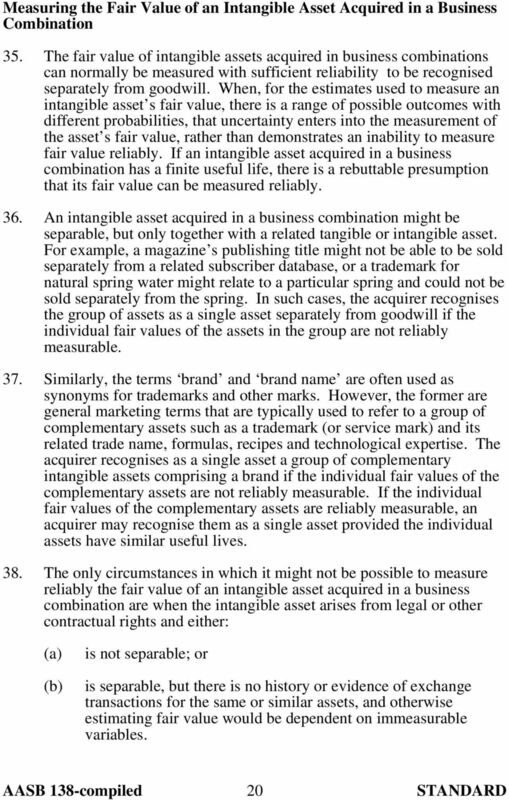 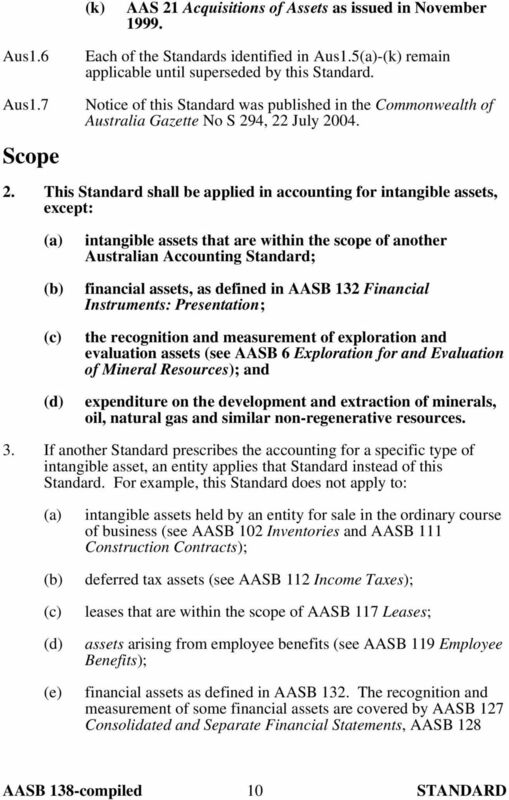 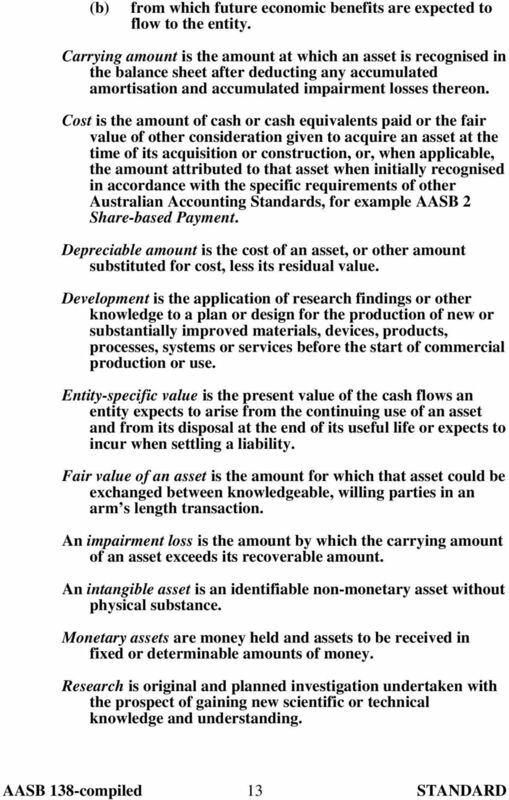 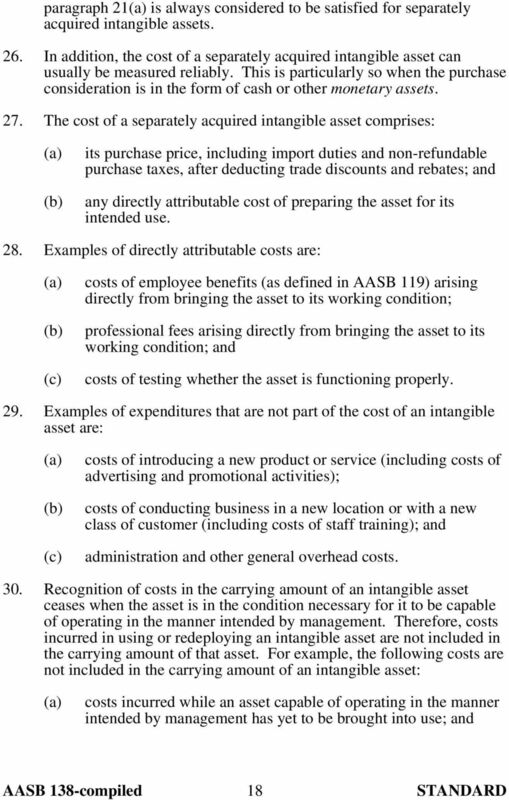 Intangible Assets"
1 Compiled Accounting Standard AASB 138 Intangible Assets This compiled Standard applies to annual reporting periods beginning on or after 1 July Early application is permitted. 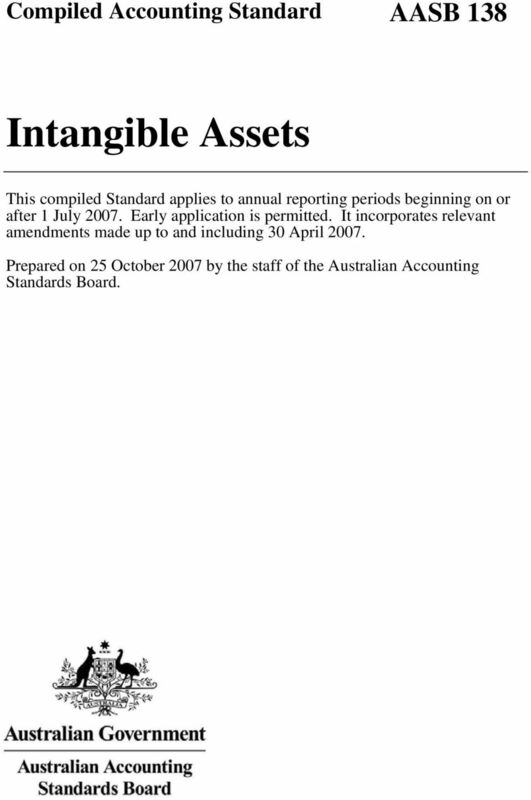 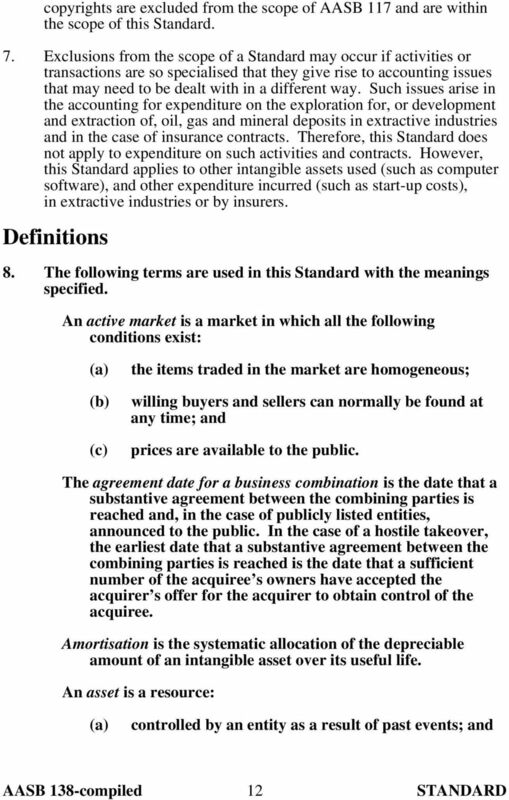 It incorporates relevant amendments made up to and including 30 April Prepared on 25 October 2007 by the staff of the Australian Accounting Standards Board. 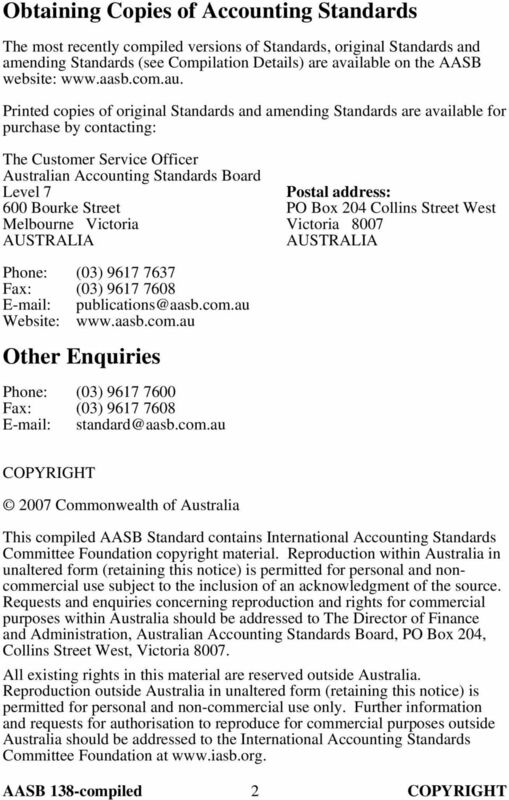 Compiled AASB Standard AASB 121 The Effects of Changes in Foreign Exchange Rates This compiled Standard applies to annual reporting periods beginning on or after 1 July 2010 but before 1 January 2013. 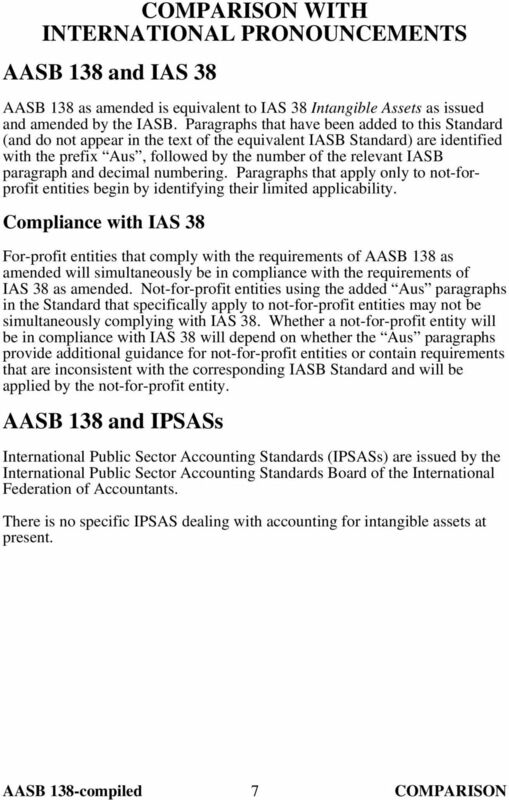 Compiled AASB Standard AASB 3 Business Combinations This compiled Standard applies to annual reporting periods beginning on or after 1 January 2011 but before 1 January 2013. 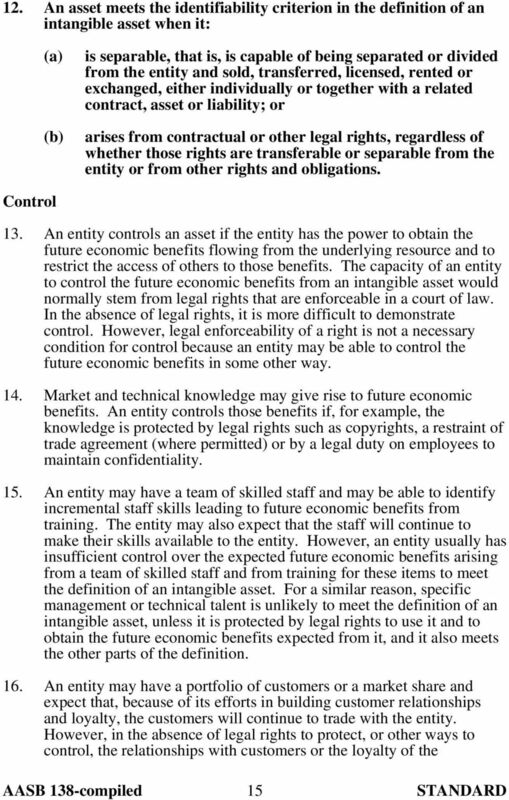 Early application is permitted. 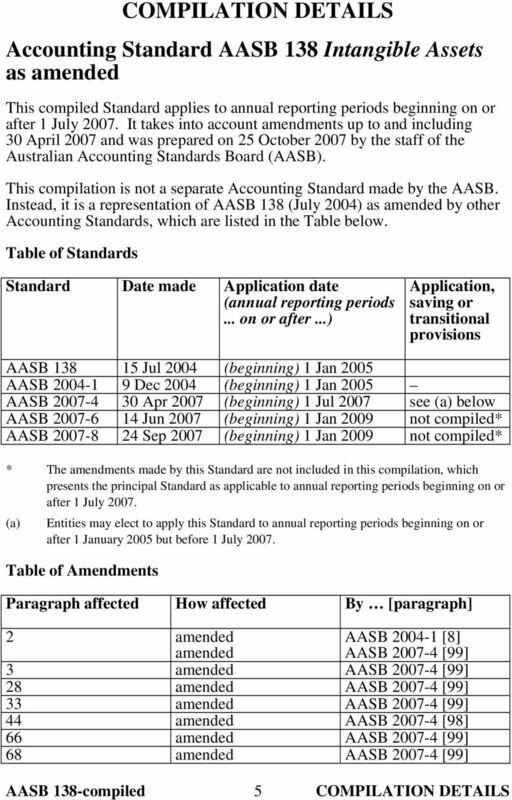 ACCOUNTING STANDARD AASB 2004-1 December 2004 Amendments to Australian Accounting Standards Obtaining a Copy of this Accounting Standard This Standard is available on the AASB website: www.aasb.com.au. 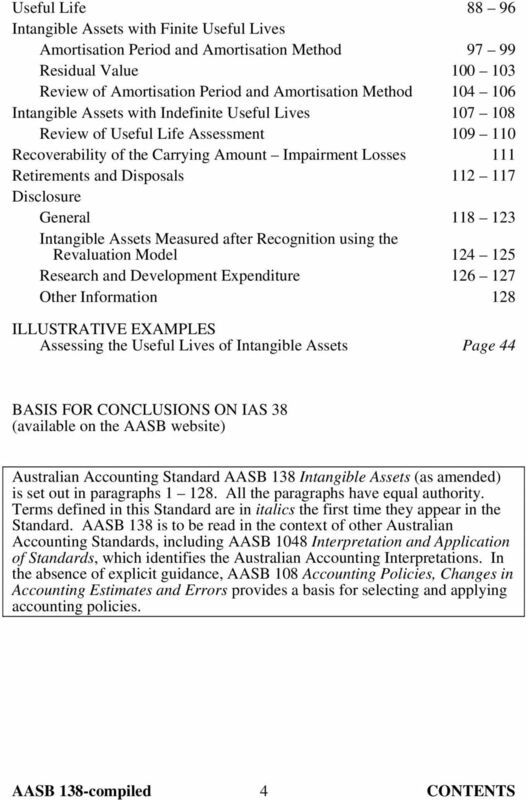 Compiled Accounting Standard AASB 101 Presentation of Financial Statements This compiled Standard applies to annual reporting periods beginning on or after 1 January 2006. 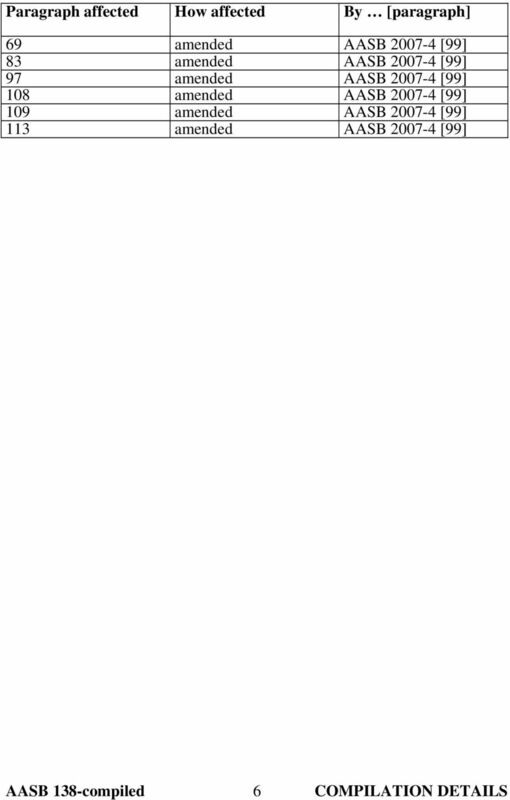 Early application is permitted.